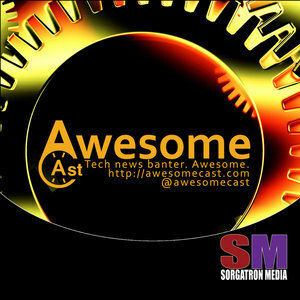 This week on Awesomecast 157, we are joined by man of the media Mike Pound (@bctmikepound), Chachi (@chachisays) and a pre- Google Glass Mike Sorg (@sorgatron)! We start off by talking about Ohio and hats? Chachi and his dad had a disagreement based on Chachi wearing a Pirates hat. Why was he wearing a Pirates hat? Find out! Chachi talks about 3D printers and their uses. Many people are printing out video game stuff, is that all they are good for? Nope! UC Berkeley students created the Dreambox, a 3D printing vending machine. It is only $15 bucks and you can print out things up to the size of a loaf of bread! What would stop Chachi from doing 3D printing? Someone would need to help him create the 3D images. Sorg then brings up the possible future plans of the 3D printer. Chachi talks about sunsets in New York? Mike Pound talks about a homicide covered in the Beaver, PA area. They decided to use a Ustream feed to cover the news. Huge step for journalism with the ease of access for live broadcasting. Sorg talks about the accessibility of using these new streaming mediums. Sorg discusses the first arrest caught on Google Glass. Mike Glass brings up the privacy (or lack thereof) issues with all the new technologies. The cast discusses the issue of public privacy. Sorg brings up ways to use Google Glass. You can play BattleShip with your Google Glass. Is that a good or bad thing?